Typhoon Maysak is expected to enter the Philippine area of responsibility (PAR) this Holy Week and bring rains over Northern Luzon by weekend. In an advisory issued at 11 a.m. Monday, March 30, the Philippine Atmospheric, Geophysical and Astronomical Services Administration (PAGASA) said the weather disturbance was spotted 2,240 kilometers east of Mindanao, with maximum sustained winds of 140 kilometers per hour near the center and gustiness of up to 170 kph. It is forecast to move at 23 kph, the state weather bureau reported. 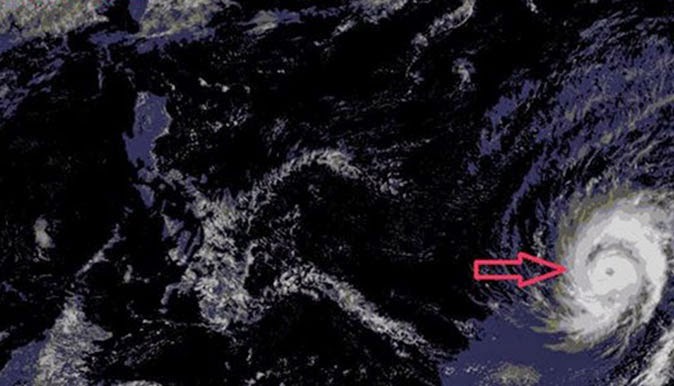 PAGASA said Typhoon Maysak is still too far to affect any part of the country. It will be locally named Chedeng once inside the PAR. State forecaster Aldczar Aurelio told PhilStar.com yesterday that the northeast monsoon that could cause the weakening of the typhoon has already dissipated. He said none or only one cyclone usually enters the country in the month of April. Aurelio reportedly said the whole country could expect generally good weather until Maundy Thursday, before rains brought by Typhoon Maysak pour over northern Luzon. PAGASA might officially declare the start of the dry or summer season this week.